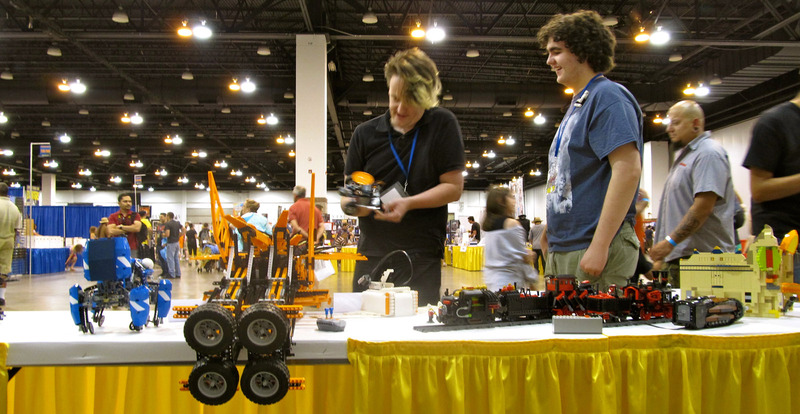 LEGO Creation Nation at Park Meadows July 13-15 was a success, thanks to CoWLUG members who volunteered to help out at the event. Reed extends his thanks to everyone who made time to come down for the build and break down. See if you can figure out which CoWLUG member ended up buried in the brick pile above. Then take a look at the mishap to the left. Give us your guess as to how that might have happened. 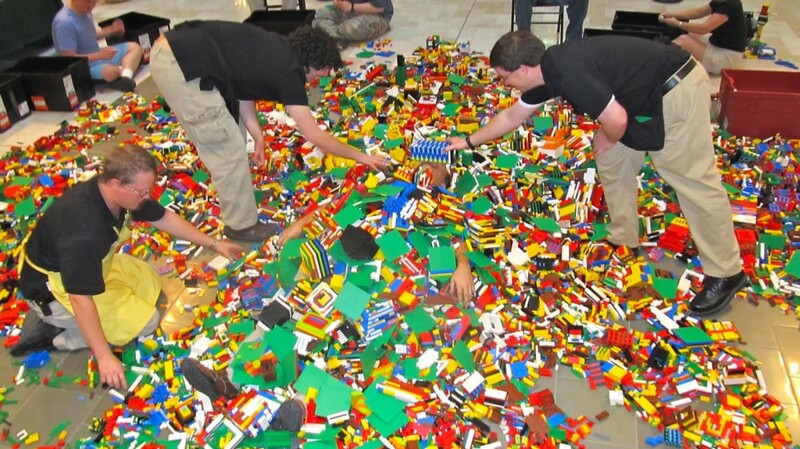 Remember, LEGO always welcomes CoWLUG volunteers for events. As you can see, it’s not all work. 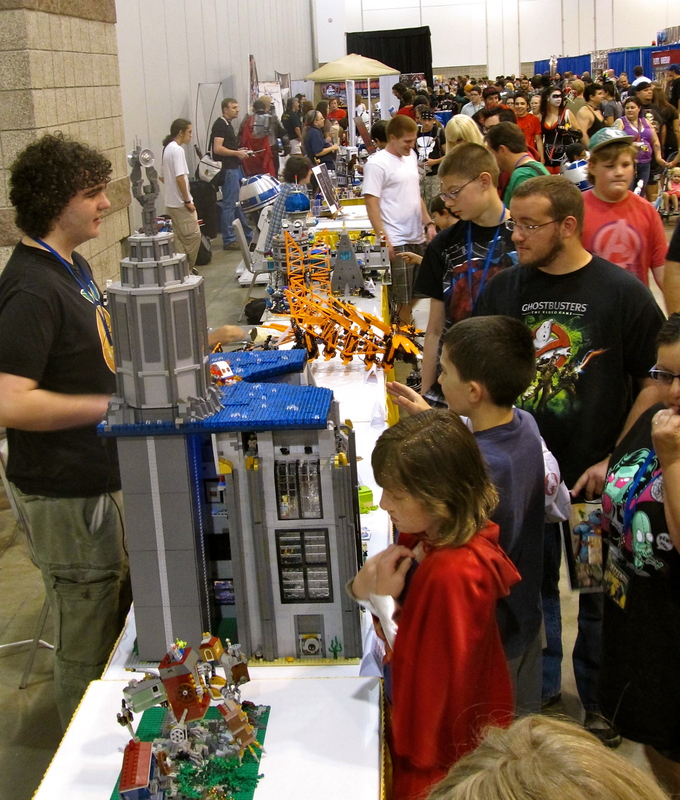 Denver’s first Comic Con was a huge hit! 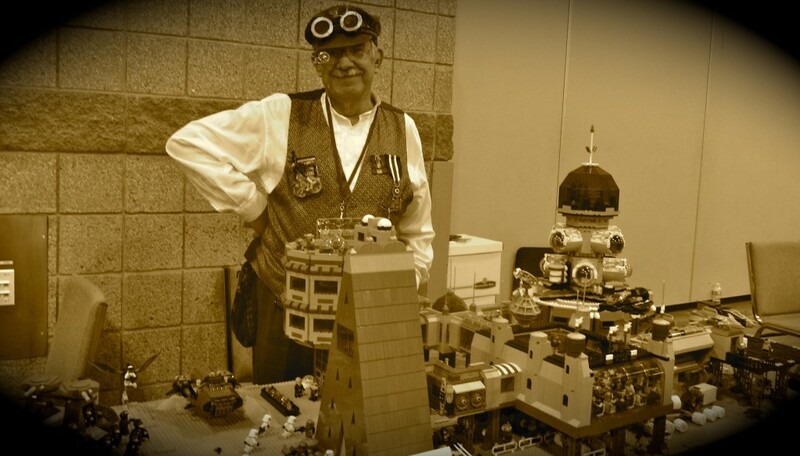 Members of CoWLUG did their best to showcase original LEGO designs including Lester’s Space Pod City and steampunk trains, Ian’s motorized technic wonders, Imagine’s Bioshock Rapture, Jessica’s Little Walking Houses, and Art’s Alphabet Wing Fighters. There was something for everyone. The feedback from the crowds bordered on extreme enthusiasm. A good time was had by all. Many thanks to the DCC organizers for the invite. It was a pleasure to be a part of it. Imagine fields questions from the crowd. Lester dresses the part with his steampunk costume. Ian & Imagine find some free time in the last hour to play. 🙂 Thanks to all the builders who took the time to participate, visit the display and help out at the show. Thanks to all the fans who came by to geek out with us! Mark your calendars for next year – Stan Lee will be attending! 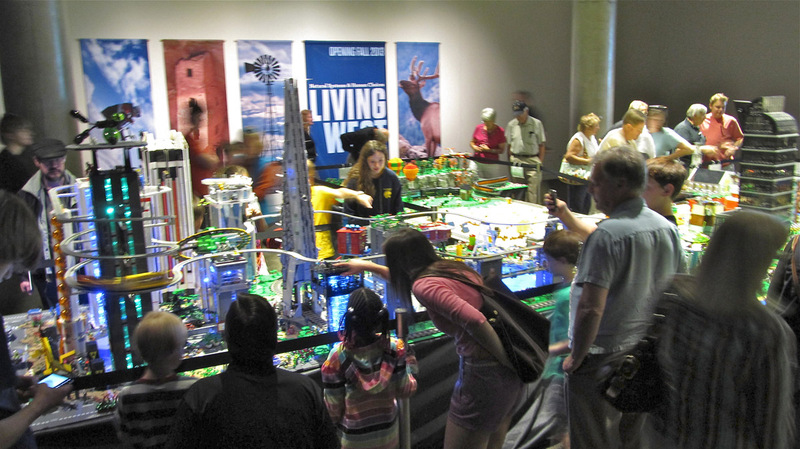 History Colorado Center LEGO-rado a Success! 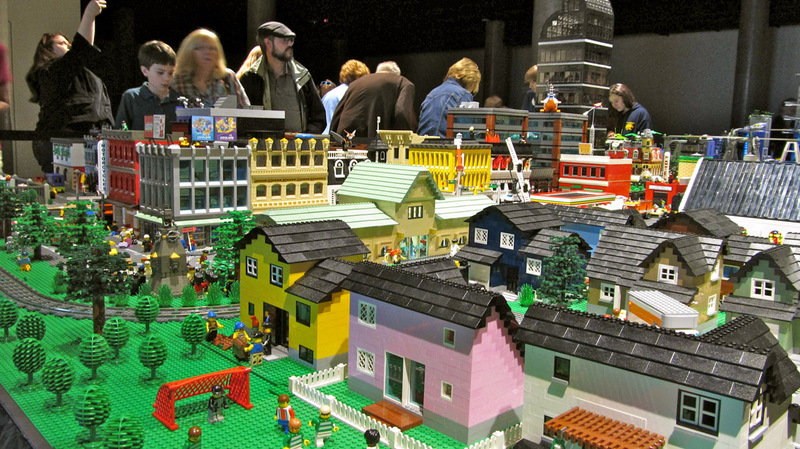 If you haven’t been to the LEGO-rado exhibit yet get yourself out to History Colorado Center now before it’s over! Only on display until August 1st, 2012, the largest CoWLUG display ever, is your chance to enjoy four themed sections of awesome LEGO building skills by 12 of CoWLUG’s builders. Highlights include a Contemporary Colorado section of city and suburbia blending nicely with parks and street activity. The Geological section features mountain terrain, animals, hot air balloons and a dinosaur dig. 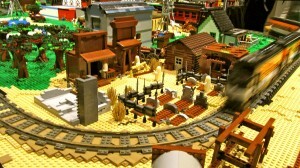 There’s even an Old Town section complete with a ghost town and historical Bent’s Fort. 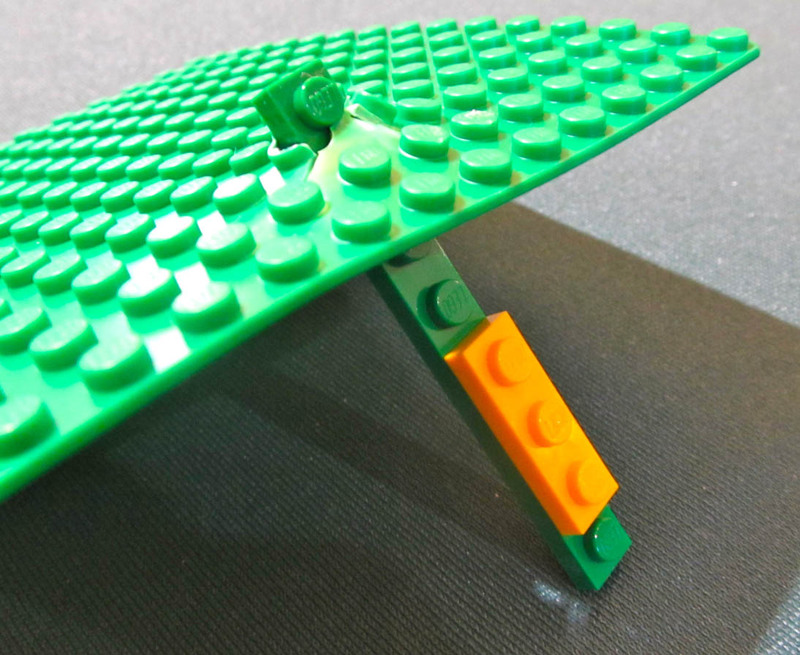 Lastly, what would an exhibit be without a vision of the future? 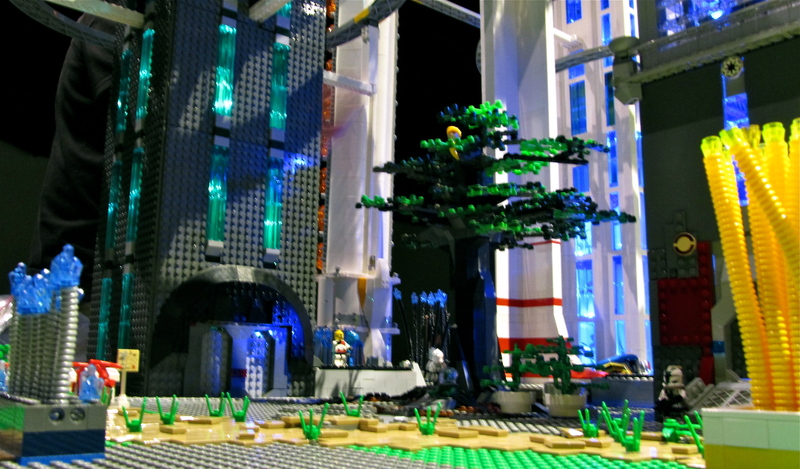 The Future Denver section is a whimsical view of life with extraterrestrials, complete with a fun monorail. So, what are you waiting for? Plan your visit now. There’s even a couple of tables with LEGO bricks for you to try your hand at creating your own build while you’re there. Have fun! 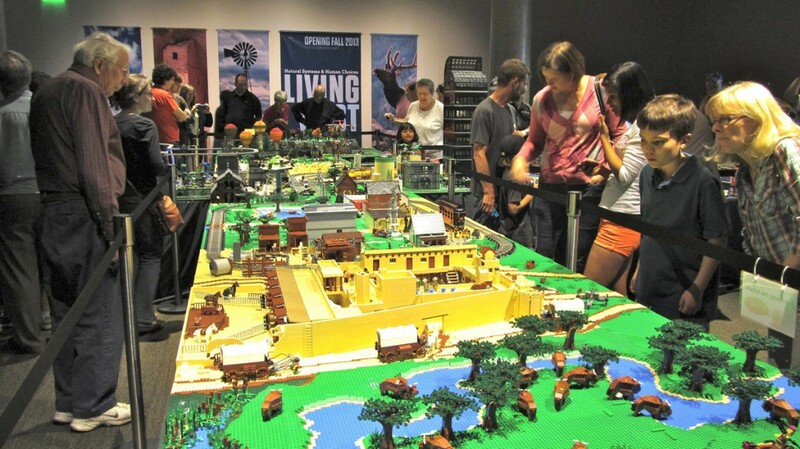 History Colorado Center LEGO-rado Exhibit Opens! Opening on Saturday, May 26, this 700-foot display features a train track circling four themed sections that showcase Colorado stories from particular places and times; past and future! LEGO-rado will be on display through Colorado Day – August 1, 2012. 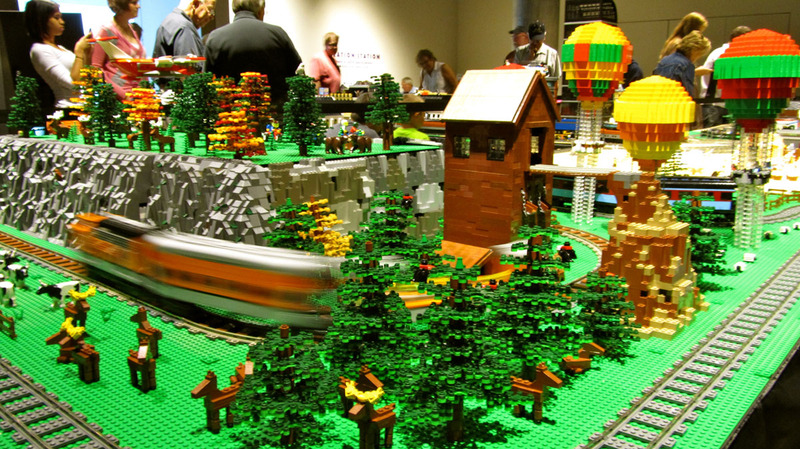 The four themed LEGO-rado sections include: Geological Colorado, featuring landscapes and an archaeological dig; Old Town Colorado, highlighting Bent’s Fort, a river basin and prairies; Contemporary Colorado, which looks at small town and suburban Colorado with comical twists; and Future Colorado, a fantastical vision of future Denver filled with extraterrestrials and flying vehicles. The display took 12 of our builders over two months to build and install – all on their own time. Above is a little teaser photo from the Future Denver section just to give you a glimpse – you really need to come down and see for yourself!